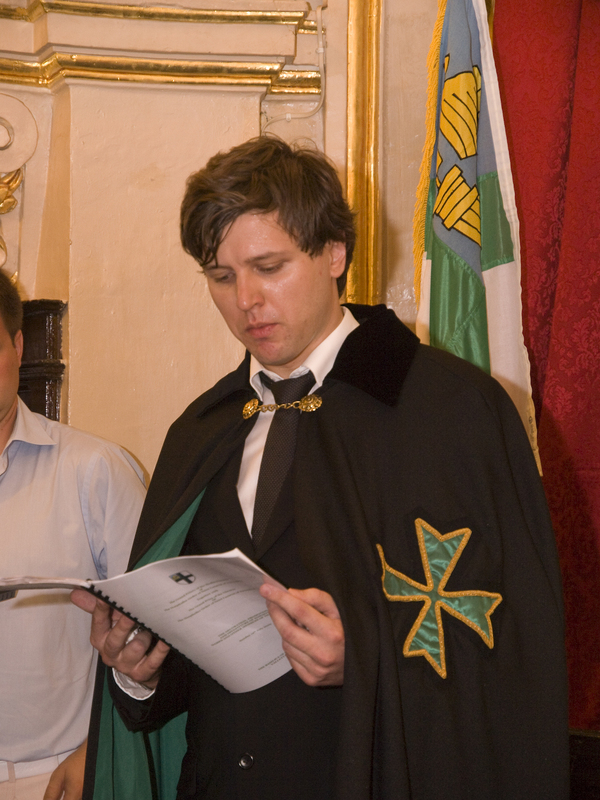 An extensive delegation of Russian Confreres and Consoeurs arrived in Malta, the seat of the Grand Chancery of the Order, so as to be admitted into the Order and elevated to the consecrated Grand Priory of Russia. This momentous expansion of the Order in the East was indeed the fruit of the hard working Grand Priory officers of the Order in the Ukraine, who were, for the past year, instrumental in aiding and assisting their Russian brethren in such a task. 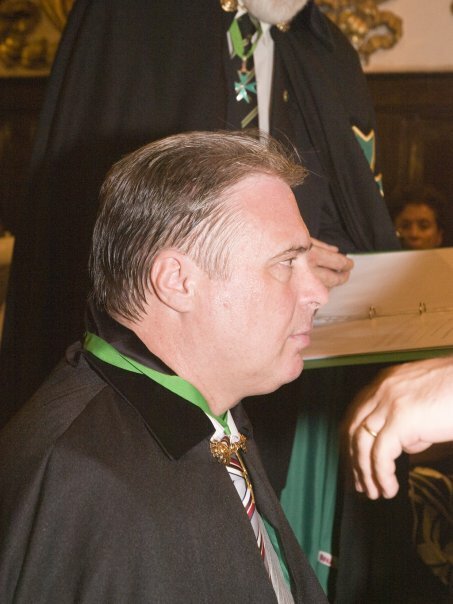 After the celebration of mass, the investiture started with the consecration of the new Grand Priory of Russia under the leadership of the Grand Prior – Elect, Chevalier Vladimir Kirillovskikh KLJ. Chevalier Kirilivskikh is a retired Russian general and has a proven track record of working hard in philanthropic causes in his region. 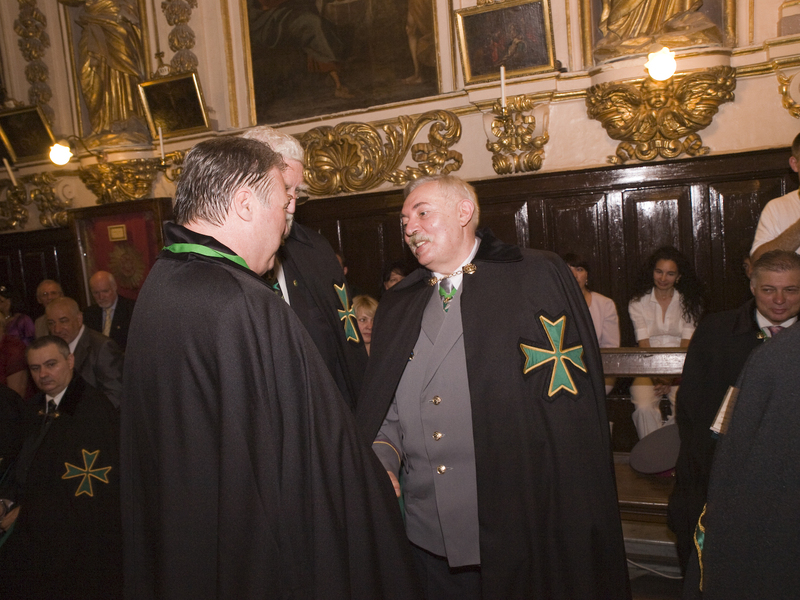 Delegations from the Grand Priory of Malta, the Grand Priory of Gozo and the Grand Priory of England and Wales were also present for this investiture. The newly appointed Grand Prior of Russia then approved the petition of Confreres Lev Kurakov and Confrere Evgeny Kachalov as members of the Order in the rank of Commander of the Order. 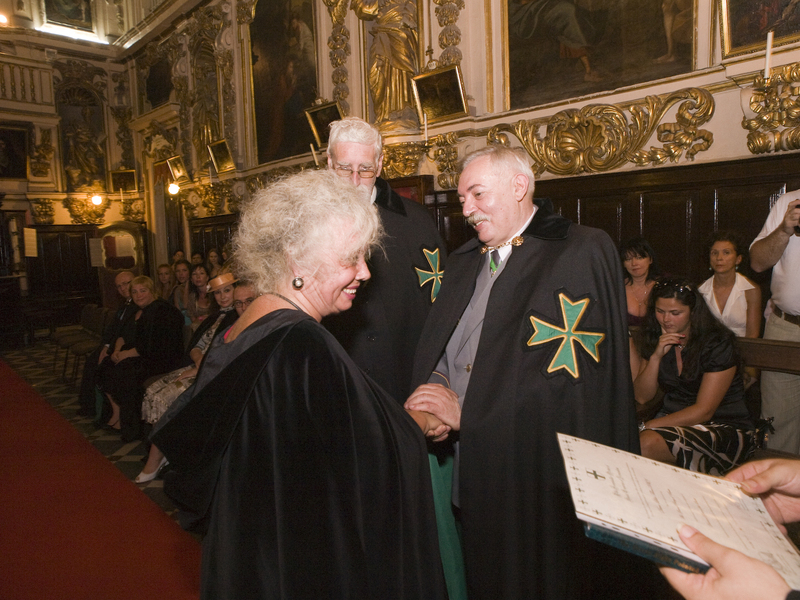 Dame Lilia Tillene DLJ, Dame Zhanna Savvova and Dame Liudmilla Bondarenko were then admitted into the Order. Chevalier Alexander Savvov KLJ was then appointed by the Grand Prior of Russia as the new Chancellor of the Grand Priory. 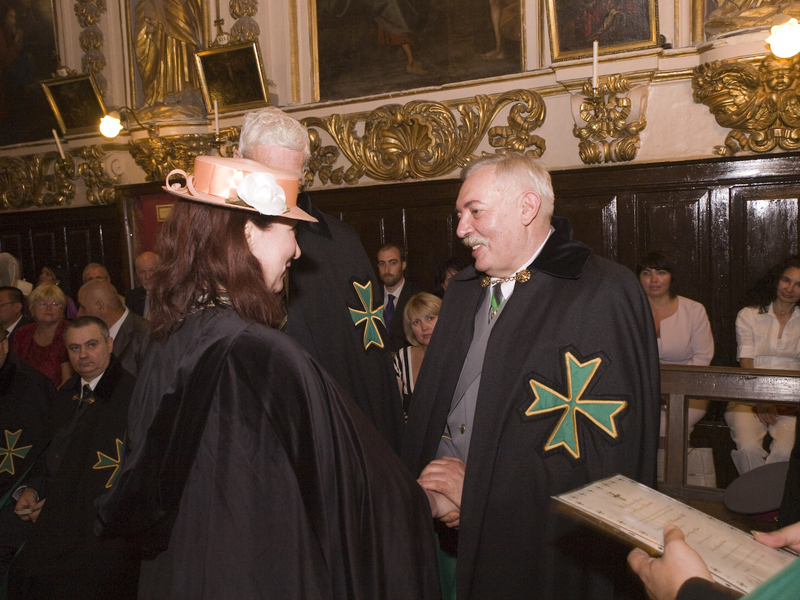 Other Russian members were admitted into the Order and a number of them were also awarded the Companionate of Merit of the Order for their voluntary and philanthropic work. These included Confrere Vladimir Maric, who was singularly responsible for the smooth interpretation of the whole investiture service in simultaneously Russo-English manner. After the solemn ceremony, the congregation then assembled at the historic Casino Maltese for the splendid investiture dinner. It was indeed a landmark event within the Order’s history and augurs well for further and positive Lazarite work and presence in the East.